These books shelves look great. 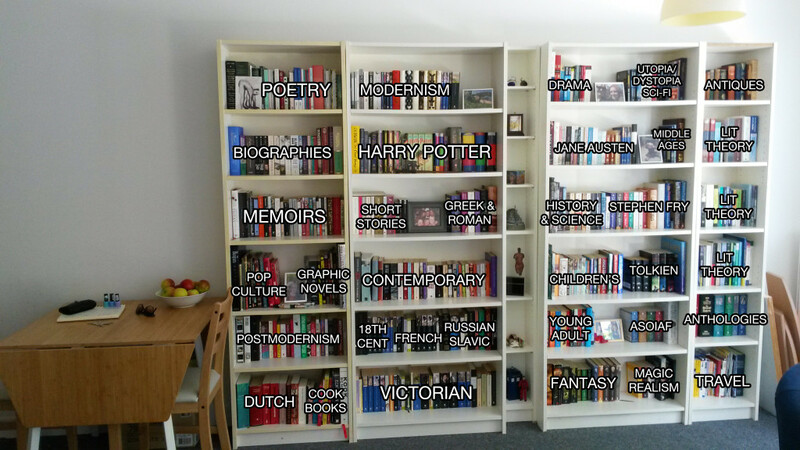 I like your genre-ish organization system. We do kind of the same thing: science nonfiction all together, history and biography together, except in special sections like food or military… anyway, we just finished moving, too, so I’m trying to figure out the best system for our new digs! Thank you, I’m really enjoying this system so far!